The Big Star Quilt designed by Mimisc's, The Pattern By Jackie O'Brien,it's available for free. 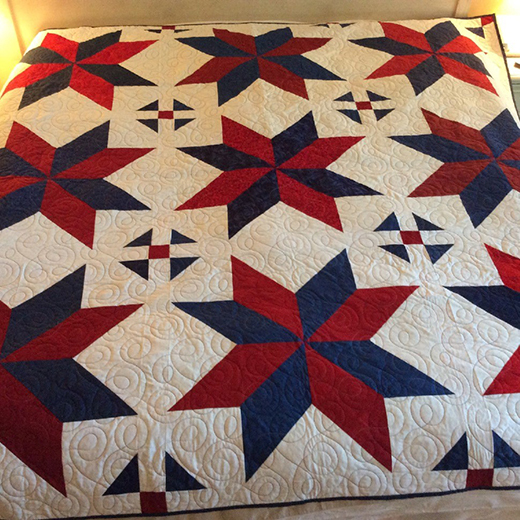 "I chose Jenny's "Big Star Quilt" pattern many months ago, and decided recently to use it to make a red, white and blue quilt. Just wanted to share it with Jenny's followers!"